Are you planning to apply for a waitress job position? Do you know how to impress employers by writing an impressive professional resume? 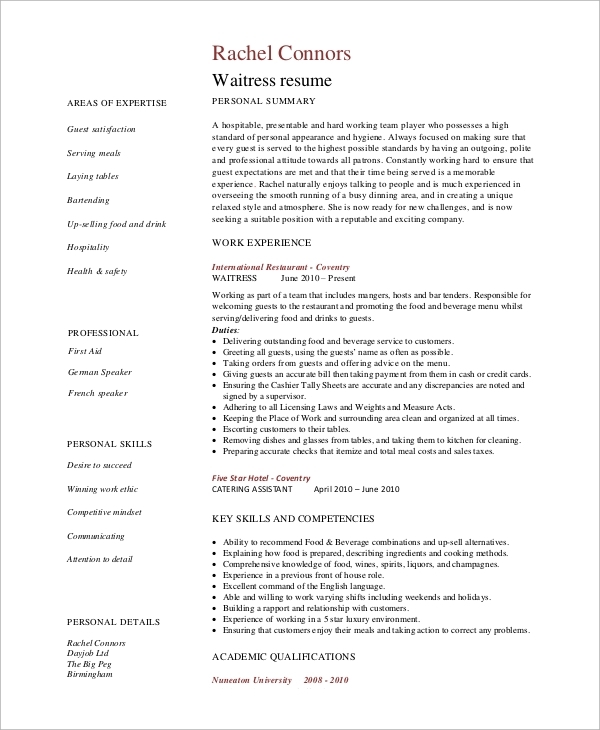 Do you need help in writing a killer waitress resume? If yes, then explore the below list of waitress resume and get help in writing fresh resumes. Our Sample Resume documents are helpful to female applicants applying for full-time or part-time waitress jobs. It is necessary for experienced waitresses to add their past waitress duties/roles in the resume for making a strong profile. Do download this sample PDF and explore the duties to add them in your professional skills. If you are an experienced waitress and applying for a job position, then this document is a helpful resource for you. 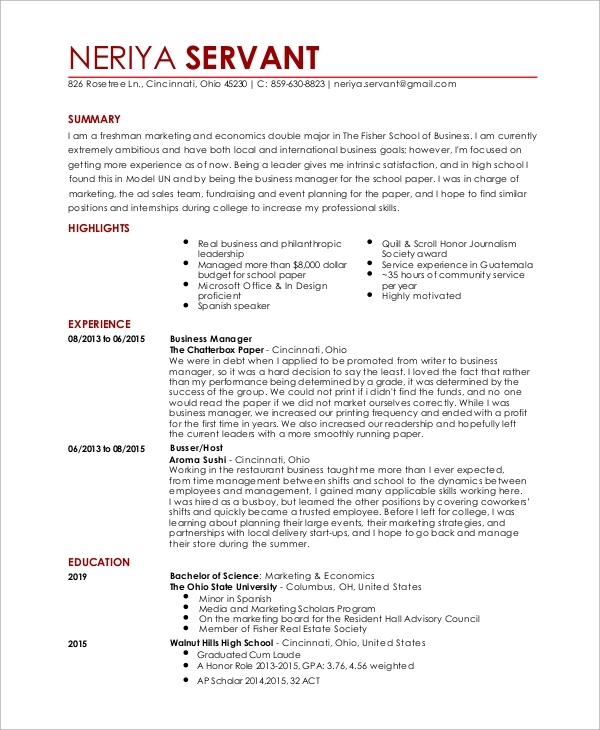 Download this Sample Word Resume and customize it by replacing the pre-written data with your personal information like career objective, skills, and qualification. 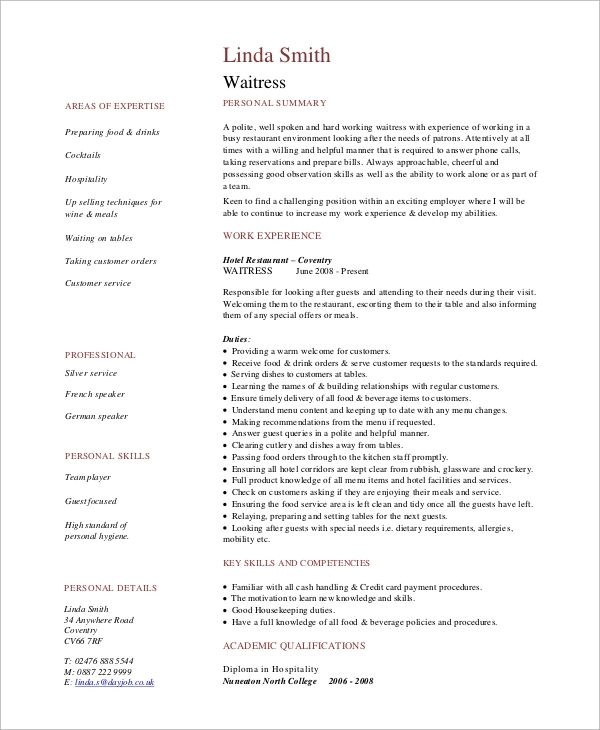 Local females and abroad students who are pursuing higher education and planning to do part-time waitress jobs, can use this document to prepare a custom student waitress resume. It will help you in highlighting your hospitality and management skills. 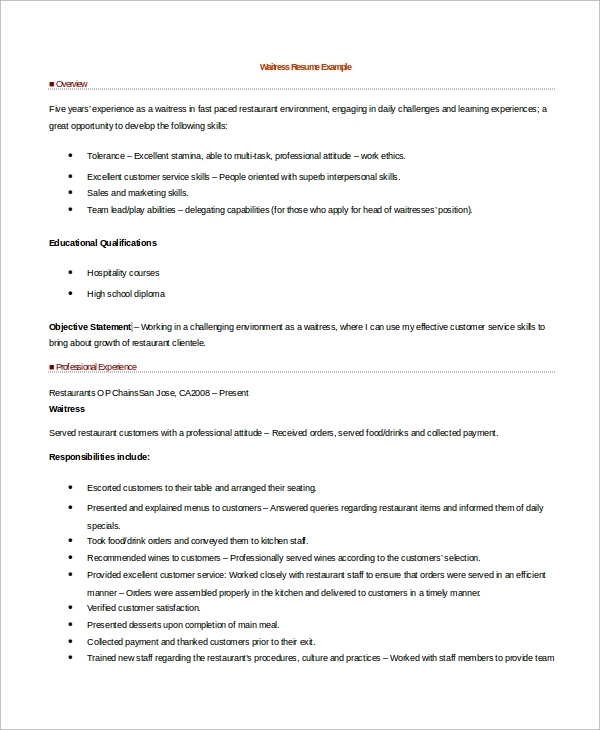 Waitress Resume Samples is an overview of your personal and academic qualification. It contains career objective, contact information, personal skills, achievements, and skills matching the job position you are applying for. You are a stranger to the employer, and he/she will use it as a tool to gain insights about you. It is your first interaction with the employer that will decide whether you will get a call for an interview or not. The fundamental purpose of writing a resume is to establish a keen communication with the potential employer to engage and impress them. 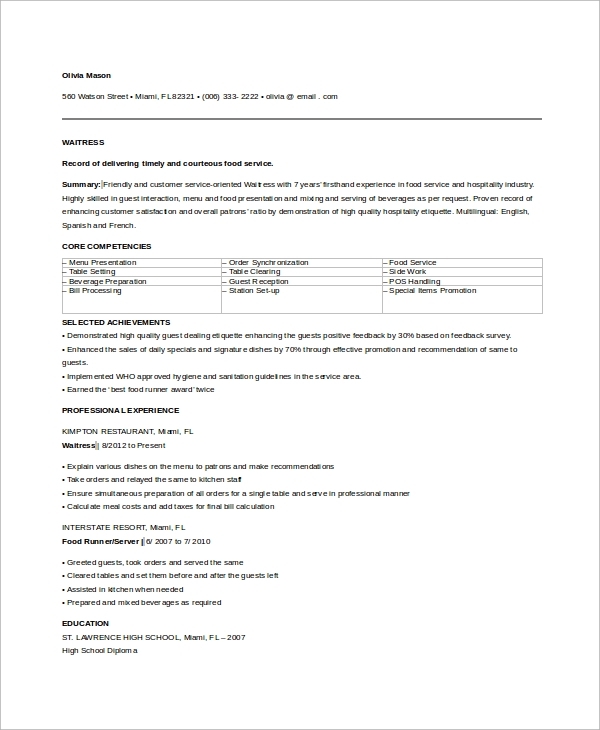 Both part-time and full-time waitress job applicants can use this sample resume for drafting a custom personal resume. Add all the essential elements to put a positive impression on the employer. 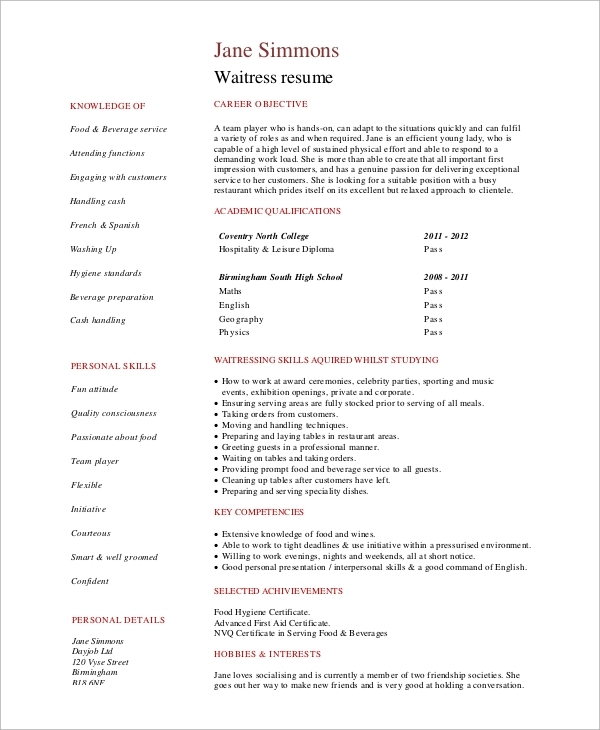 If you are going to apply for a restaurant waitress job profile, then this sample resume will help you. Download the waitress & Waiter Resume PDF and explore its key elements to integrate them in the custom resume. Resume Examples is a lead generating tools for applicants. It makes your way to get a call from your potential employer for a personal interview. It will help you in upselling your skills and strengths. Also, you get a chance to explain what you can do and why they should hire you. Female freshers, students, and experienced professionals seeking a job as a waitress can use sample waitress resume to apply for part-time or full-time waitress jobs in restaurants, cafes, and food zones, etc. We hope our PDF and MS-word waitress Resume Samples and samples have met your expectations. You can prepare professional resume documents to impress any employer. Also, if you have any query regarding the waitress resume writing, then use our comment box, and our experts will answer them.